Stories, more so than anything else, are what make us human. History, science, literature, even math are all made possible because we can form abstract thoughts in our minds and then transmit them to others. We don’t just give our children life. We give them our collective memories. That is how we evolved. That alone is what separates us from animals. Source fr.wikipedia.org. Released into the public domain by the author. Several hundred dozen generations later, the fact that there’s physical artifacts of a very ancient people is truly astounding. Yet nobody remembers what the symbols actually mean. How many civilizations are lost to history because they didn’t leave behind any sign that they once existed? In this age of information, what is our legacy? How do we preserve a lifetime of experiences? We tell stories—just as people have for generations and civilizations long since passed. We still tell stories; some fiction, others quite true; some preserved in books and on microfiche and inside computer hard drives; yet many more quickly forgotten, accidentally erased, or never even told in the first place. In 2 decades of experience, at several community media stations and 2 PBS stations, the very best moments of my career involved finding stories right here in my own community. For example in 2008 I met a man named Tom Molina. The lifelong Sonoma County resident often travels the country, always taking his power wheelchair where, as he put it, “it don’t belong.” He’s a bow and arrow hunter, and he didn’t let the onset of his physical disability change him. He makes it clear that it doesn’t make him a hero. Nor does he imply that everyone in a wheelchair should be traipsing through the countryside in a power wheelchair. All it means is that Tom had a series of experiences, and as I often rediscover whenever I recount this simple story: we—as humans—are drawn to them. From the 16 year old Santa Rosa girl whose family was going through a foreclosure during the financial crisis, to the fast-paced life of the 7 year old boy who’s been tearing up the Motocross track on his little Polini motorcycle for “twee” years—telling true stories about real people is my passion. You simply can’t make this stuff up, and this is the innate skill I was blessed with: I discover, polish, and share my clients’ stories. Homer chose to pass on the stories of his time through verse. I chose video because it’s my favorite way to capture what a person truly says—captured through words and expressions and actions—and then forge it into a compelling, accessible story that everybody can enjoy. I’m thrilled to live in an era that is perfect for telling these kinds of stories, in this kind of medium. There is an insatiable hunger for compact, visually and aurally dynamic stories on the Internet. Viral photos, videos, and anecdotes don’t propagate through the web for just any reason. They spread because they tell a compelling story in a short amount of time. Unmoderated, the Web is still the wild wild west of content, where cat videos compete with daredevil stunts. But in between there are gems, and many experts agree that the future of television lies the identification and cataloging of the hits—a task best suited for a human. 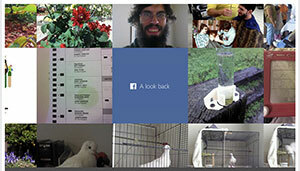 A screen shot from my Facebook “Look Back,” featuring a much hairier time in my life. Technology companies like Google and Facebook are trying to automate the process of filtering and formulating human stories. 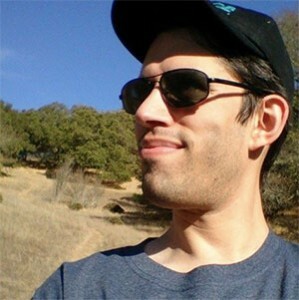 In February 2014, Facebook used a finely-tuned computer algorithm to create a custom “Look Back” video montage for each of it’s 1.2 billion worldwide users. The sentimental minute-long video—“cheesier than a pack of Velveeta,” according to Gizmodo—was a viral sensation of narcissism, especially among the more active users who had consistently uploaded their lives to the social media behemoth over the last decade. But something was missing. Or rather, something was ever-so-slightly off. Indeed, Facebook added the capability to edit your own “Look Back” less than a week later because honestly, a computer cannot truly summarize the human experience without some manual intervention. If storytelling is a uniquely human creation, these attempts will continue to struggle to pass through the same “uncanny valley” that robotics professor famously Masahiro Mori described in 1970s. Letting a computer tell your story without a human storyteller at the helm feels frighteningly artificial. 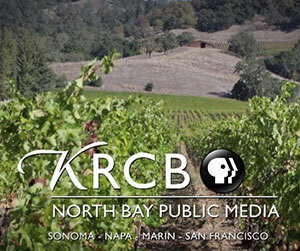 KRCB: North Bay Public Media, my employer for the last 8½ years. In the summer of 2014, I left my full-time job at PBS to focus full-time on storytelling in the age of information. I’m choosing to focus my creative energies on telling the hidden stories that reverberate through the golden valleys of Northern California wine country. Stories like this: eight years ago I met a famous winemaker and founder of a local winery with international name recognition. My production team was on location, interviewing him about his craft, and he was asked to describe that perfect moment when old vine zinfandel grapes are ready for harvest. He compared the juices when you crush the ripened grapes in your hands to “the blood of a small animal as you crush it in your hand.” To this very day, I still remember the way he described it with such passionate authority. He wasn’t talking about violence against animals, of course. He was describing something indescribable—something that took years of study and practice to perfect—and he ran up against the limits of language. His face said it all. This articulate man was simply trying to put the love of his life into words. These are the kinds of moments that inspire me to exercise my passion: meeting people to share their passions through the art and science of storytelling. The North American winery marketplace is unique in contemporary American agriculture. Acres and acres of vines are still farmed by family-owned businesses. In the California North Coast region alone, there are over 1,000 small and very small wineries in business today. I’ve learned throughout my career that it takes time to bring out the quality. With all the demands of the daily grind—running a small business, operating a farm, harvesting grapes and blending juices to make perfect wines—how do my clients find the time to share their stories with the average wine consumer? Yet at the end of the day, they’re running a business. So how can they afford to not go after new customers? Family farms are a multi-generational business; that is part of what makes telling these stories even more important. Preserving the continuity of families and small communities are among the most ancient of methods that we employ to sustain our legacies, even today. Short term, yes: my endeavor is all about selling wine. But long term, my clients and I are time travelers, sharing our time on this planet with the future we’re all creating. Everybody has a story. My passion is to help my clients rediscover their story, flesh it out, make it as clear and vibrant as it truly is—and share it with the world. In my own small way, I seek to ensure that my life’s work will last longer than my own lifetime, while also seeking the same for my clients. In this age of information, we have a new, unprecedented degree of self-awareness about our place time and space. Together, let us strive to provide clues for future generations to discern what our lives were really like, so they won’t have to guess at who we really were.